1.On 27-08-2007 33 members of our NSS volunteers participated in blood donation camp at Mother Theresa Association,Cherukupalli. 2.In November 34 members gone to Acharya Nagarjuna University toparticipate in Blood Donation Camp and donated their blood. 3.They are regularly participating in clean and green and Aids awarenesscampaign. 2.50 members of our NSS volunteers participated in Mega Blood donation camp at Acharya Nagarjuna University and donated their blood. 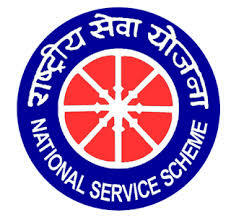 3.Our NSS Unit selected S.T. colony of Nagaram and actively participated inthe formation of Roads and sanitation facilities. 3.Our NSS Unit selected S.T. colony of Nagaram and actively participated in the formation of Roads and sanitation facilities. 6.On 07-01-10 50 members of NSS volunteers donated their blood in Mega Blood donation camp by Red Cross Society. 1.62 members of our NSS volunteers participated in blood donation camp on blood donation day organized by Mother Theresa charitable trust and donated their blood. 3.Conducted special camp at pudivada village for 7 days and activity participated in plantation programme. 2.Smt. K. Vijaya Kumari, NSS programme officer attended One National Mega Camp held at New Delhi from 13/11/2011 to 24/11/2011 at Jawaharlal Nehru Stadium sports hostel conduct by Ministry of Youth affairs Govt. of India. She is participated as contingent leader of A.P.